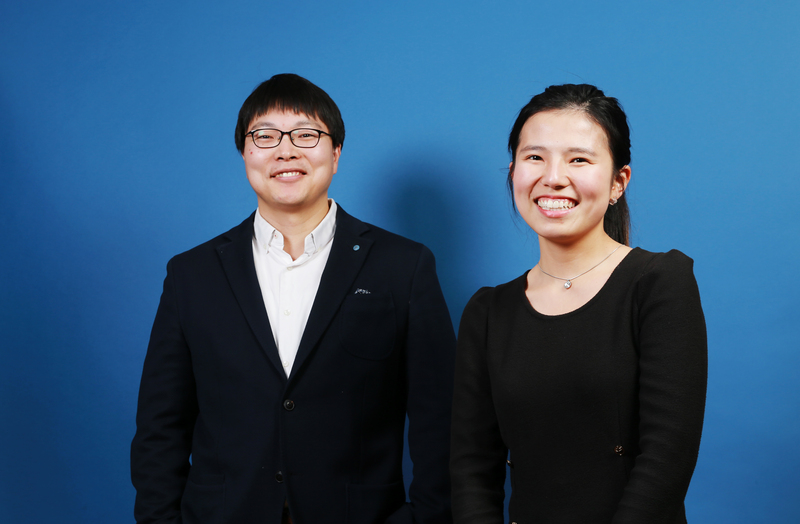 Lee Yeong Kim of Physics (right) and Prof. Bum Suk Zhao of Chemistry/Physics (left) are posing for a portrait. Paving the way for selecting a specific state of nonpolar molecules. 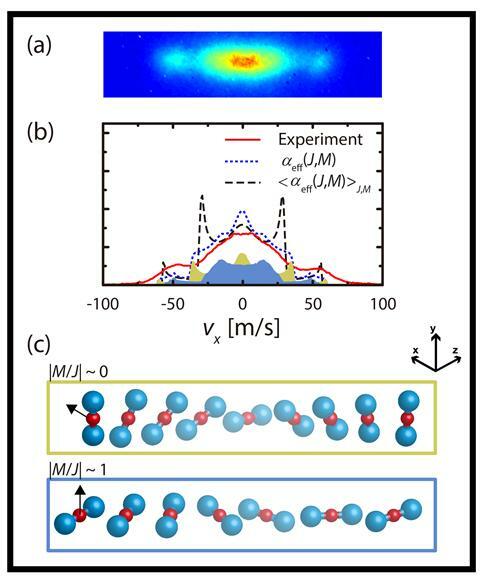 A recent study, affiliated with UNIST has reported a novel approach to get one step closer to separation of non-polar molecules in different rotational quantum states. 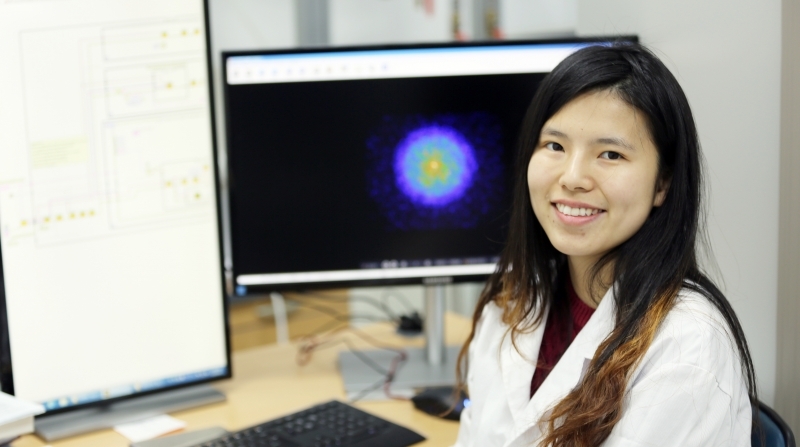 This study has been conducted by a UNIST student, Lee Yeong Kim (Department of Physics) in collaboration with Xing San Sun (Department of Chemistry) of Seoul National University. 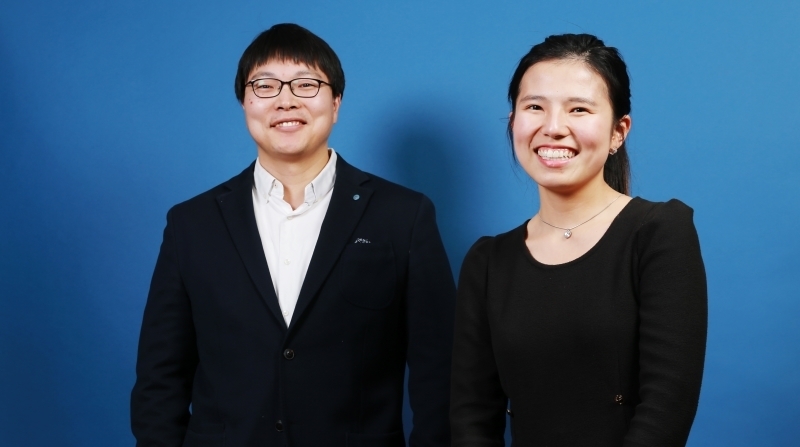 This is the first time in history a UNIST student to publish an article via Physical Review Letters, the world’s premier physics letter journal that publishes high-quality reports of significant and notable results in physics research. According to the team, separation of non-polar molecules in different rotational quantum states has been a notoriously difficult task compared to that of their polar counterparts, which can be utilized in extreme cases such as separation of spin isomers of non-polar molecules. This is because most experimental results have been analyzed with the average polarizability of all rotational states. This is an important aspect in the study of molecules in that experimental evidences in this study clearly show that the velocity distribution of non-polar molecule can be significantly manipulated depending on their rotational states by pulsed optical standing waves. Since the interaction between the polarizability of molecules and an electric field strongly affects the molecular motion, a certain rotational state can be isolated by choosing a proper electric field spatial distribution. As a first step toward rotational state selection, the research team dispersed carbon disulfide molecules with optical standing waves and analyzed the experimental results with the rotational-state-dependent polarizability. The electric field of the optical standing wave disperses the molecules, according to their rotational quantum numbers J and M, which resulted in a structured transverse velocity distribution. Through this study, the team represented that analysis employing the state-dependent effective polarizability can reproduce the observed velocity distribution. The results of the study have been appeared in the November 27th issue of the journal, Physical Review Letters. “Rotational-state-dependent dispersion of molecules by pulsed optical standing waves,” Phys. Rev. Lett., accepted for publication (2015).